The evolution of Unmanned Aerial Vehicle (UAV) technology has continued at a rapid pace in recent years, leading to the increased accessibility and adoption of drones across a wide ranges of industries and applications. Drones are particularly starting to play a revolutionary role within the inspection industry, as part of a new blended approach where advanced UAV technology is utilised alongside traditional on-site inspection practices. There is still some scepticism and misunderstanding however around drone capabilities and deployment, with concern that in some instances they are being introduced too quickly or used as a substitute for experienced inspectors on the ground. It is therefore crucial that these myths are dispelled and the specific applications and benefits of drones – when used appropriately – are understood. Here, Bureau Veritas’ Kyle Veitch explains how the strategic adoption and correct utilisation of drones can elevate the inspections process and lead to a safer, faster and better blended approach. Ten years ago, the use of UAV technology – drones – was limited to the military arena and wasn’t something that was readily available from a commercial or industrial perspective. Fast forward to present day and whilst it is certainly not commonplace, the strategic deployment of drones as part of blended approach to inspection is now being hailed as a best practice approach, with many distinct advantages. It’s also something that is here to stay. Reports estimate that the impact of drones on the UK economy will be £16bn in net cost savings by 2030 and the use of drones will boost ‘multi-factor’ productivity* by 3.2% during the same period. 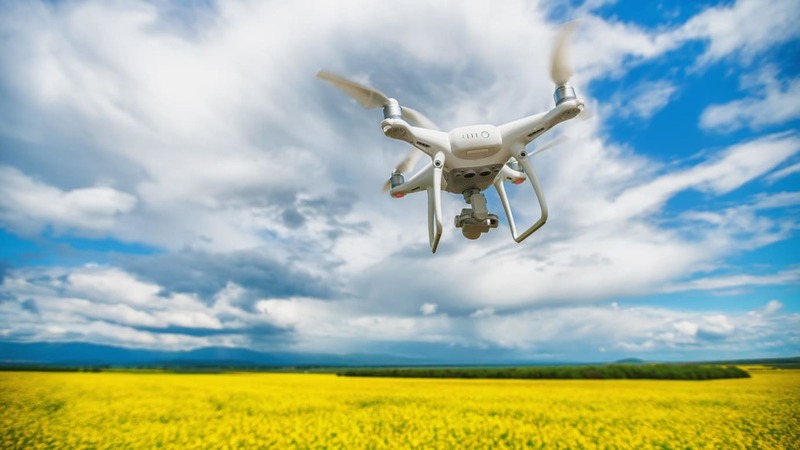 This prediction comes alongside the more prolific use of drones across UK industries including: health and safety; construction and manufacturing; the public sector; utilities; technology, media and communications, plus many more. It’s therefore not a surprise that it is also predicted there will be more than 76,000 drones in UK skies by 2030 . As an access solution, using drones can be an efficient and effective method of conducting an initial visual assessment of large or difficult to access equipment or locations, at minimal risk and without disrupting production on-site. Deployed as an extension of the engineering inspector’s eyes and using a technically competent operator on the ground, drones can add value by efficiently identifying particular defects or areas of concern that require further assessment by an inspector. It means that when it comes to carrying out any further inspection or remedial works, the exact location can be pinpointed – removing the guess work and allowing everyone involved to identify and respond often through planned preventative maintenance. Deploying this blended approach to inspection is particularly valuable as a response to the increasingly crowded environments engineering inspectors are finding on-site. As new systems and equipment are regularly introduced, inspectors are having to navigate more complex spaces, which can prove challenging. Arranging access may require closing off a section of a facility or shutting down completely for a period of time, which can lead to costly downtime – as well as being inconvenient and taking longer. In this instance, using a drone for an initial assessment may reduce the need for equipment such as Mobile Elevated Work Platforms (MEWPs) and scaffolding on-site and allow the engineering inspector visual access quickly and easily. Drones are also now capable of close-up surveillance of even the tallest and most inaccessible structures as well as of confined internal spaces including as larges tanks, warehouses, roof spaces, boilers and cellars, where they can be used to pick up on minute yet highly important details including corrosion and cracking. The latest advances in collision-resistant and collision-tolerable UAVs also enable them to ‘bounce’ off surfaces and roll along walls without getting damaged or damaging the structure, meaning they can cope with the challenges of demanding environments. Saving valuable resources, drone use also enables condition assessment of an entire site at a fraction of the time, even in challenging weather conditions. The end product is a total inspection solution that delivers a complete overview of a building’s infrastructure whilst meeting all relevant regulatory requirements. What’s more, UAVs have greatly enhanced the arsenal of techniques and documentation now at the disposal of many safety teams by allowing them to get up close, look at the structure from different angles and gather a variety of footage including high definition video, photographic and thermographic imagery. In terms of building condition assessment, drone deployment is ideal as an efficient method of monitoring the construction progress and creating a record of data for the future. As well as efficiently conducting a visual assessment, drones can also collect three-dimensional information that can be integrated with existing building information modelling (BIM) systems and original design CAD to offer another layer of advantage for the customer. According to latest figures, contractors in the construction industry are also increasingly using state-of-the-art technology such as drones, laser scanning and wearable devices such as smart helmets to enhance safety, with a staggering 82% reporting a marked improvement in workplace safety. This figure is expected to grow exponentially in the coming years as such devices become a part of everyday working practices . Others meanwhile believe the process is too complex, involving many risks such as complying with the Civil Aviation Authority’s (CAA) strict airspace restrictions. In reality, whilst the initial set up can indeed be complicated, certification and inspection specialists have the expert skills and knowledge, underpinned by a clear and concise system, in place that advises clients of some of the working conditions required to operate drone inspections – making the whole process seamless and easy to implement. This includes all required registrations with the CAA to ensure everything is done properly, legally and is commercially viable. An approved partner can also ensure the full control of the working area to ensure no employees, equipment or infrastructure is put at risk through the deployment of blended inspection, such as cranes will be working or operating at the time of the inspection. 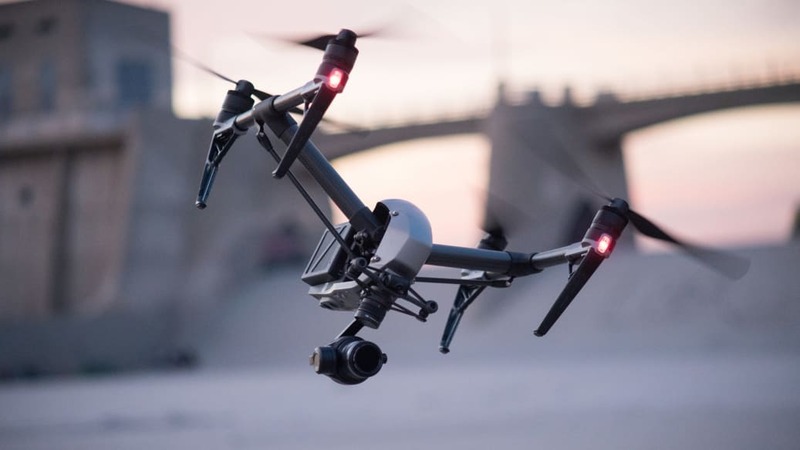 In a bid to raise awareness and dispel some of the misconceptions around using drones, Bureau Veritas is currently targeting industries such as the construction and manufacturing, automotive and quarry management sectors, where the use of drones is expected to revolutionise the inspection process. Through a recent partnership with Sky-Futures, one of the world’s leading provider of drone-based inspections services, Bureau Veritas is able to utilise the latest advances in collision-resistant and collision-tolerable drones. This new approach, which is now available in the UK and Europe, allows greater access to restricted or awkward areas that would have previously only been possible through the use of MEWP’s, scaffolding and in some cases weather-dependent light aircrafts or helicopters. Created in 1828, Bureau Veritas is a global leader in Testing, Inspection and Certification (TIC), delivering high-quality services to help clients meet the growing challenges of quality, safety, environmental protection, and social responsibility. As a trusted partner, Bureau Veritas offers innovative solutions that go beyond simple compliance with regulations and standards, reducing risk, improving performance and promoting sustainable development. Bureau Veritas is recognised and accredited by major national and international organizations and works across a wide range of industries worldwide.